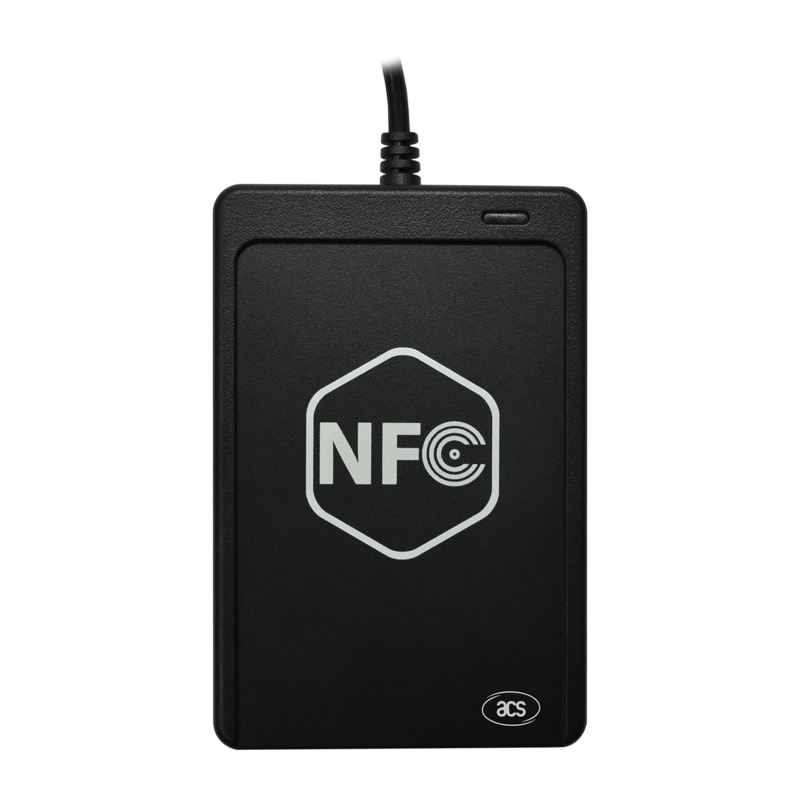 The ACR1251U USB NFC Reader II offers advanced features such as firmware upgradeability, a SAM (Secure Access Module) slot, and support for NFC tags and devices. It is ideal for contactless applications with added security functions. Through the SAM, key diversification and mutual authentication are made possible, restricting the exposure of keys and limiting the possibility of keys being stolen. 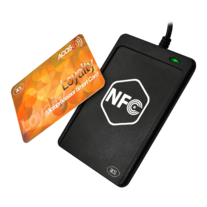 This provides a high level of security in contactless operations. ACR1251U is suitable for any contactless smart card application such as personal identity verification, network login, online banking, and micropayment. 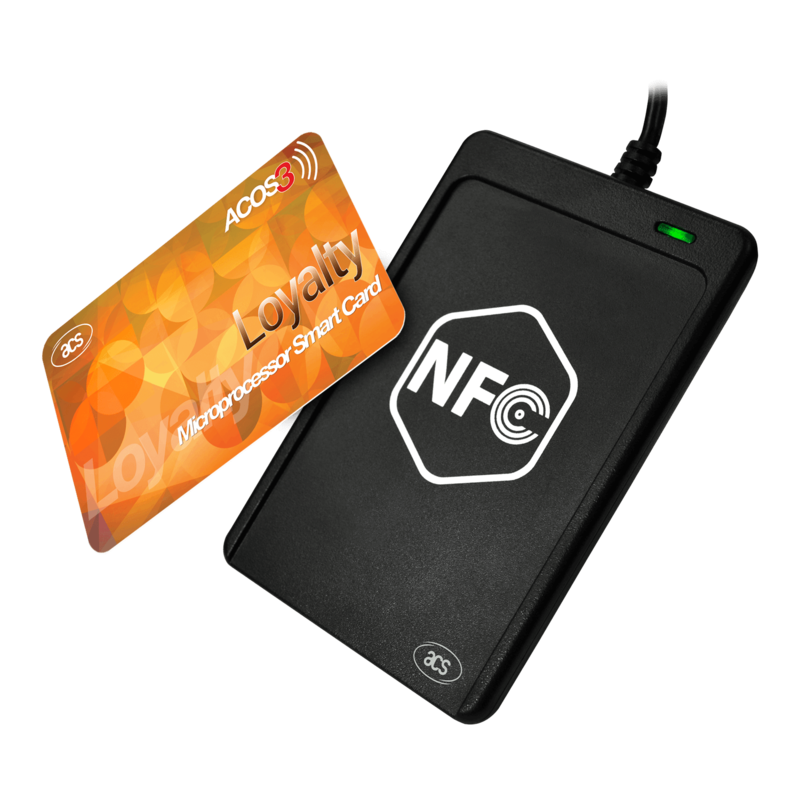 With its enhanced NFC features, ACR1251U is also ideal for non-conventional NFC applications. Such applications include smart posters for advertising, marketing, and communication purposes. Furthermore, ACR1251U is PC/SC-compliant, allowing interoperability across different applications and platforms. ACR1251U also supports remote post-deployment firmware update, which eliminates the need for additional hardware modification. With its compact size, trendy design and rich features, ACR1251U enables you to fully enjoy the convenience of using NFC applications. The ACR1251U comes with an optional stand to hold the smart card reader at an optimal angle, so that users can tap contactless cards or NFC-enabled devices onto the ACR1251U with ease. For more information, click here to download the brochure of this special accessory. 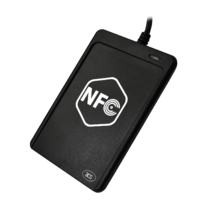 The ACR1251U USB NFC Reader II supports ISO 14443 Type A and B, MIFARE®, and FeliCa cards, all four types of NFC tags, and other NFC-enabled devices. It is on-the-field firmware upgradeable and has a SAM (Secure Access Module) slot that enables key diversification and mutual authentication. 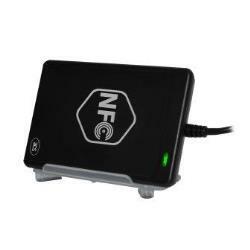 Comprehensive SDK—The ACR1251U Comprehensive USB NFC SDK is a collection of PC/SC–compliant sample codes, for device and contactless card programming for Java, MS Visual Basic 6.0, MS Visual Basic .NET 2008, MS Visual C# .NET 2008, MS Visual C++ 6.0, and MS Visual C++ .NET. This SDK is designed to help software developers create PC-linked contactless applications, like smart posters for most NFC-enabled mobile phones. 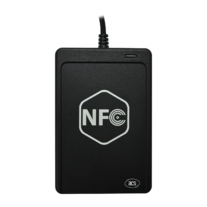 Peer-to-Peer Capability—The Smart Card and Reader Tool in this SDK includes NFC and NDEF tools to demonstrate the NFC capability of the ACR1251U. 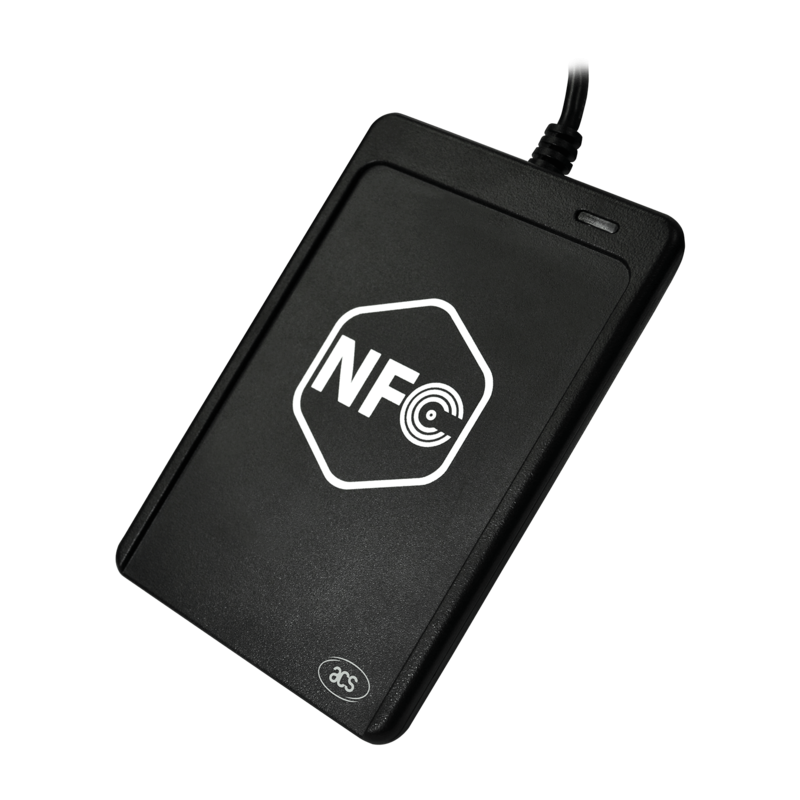 The peer-to-peer function enables the ACR1251U to communicate with other NFC-enabled devices. The development kit is priced at only US$149.